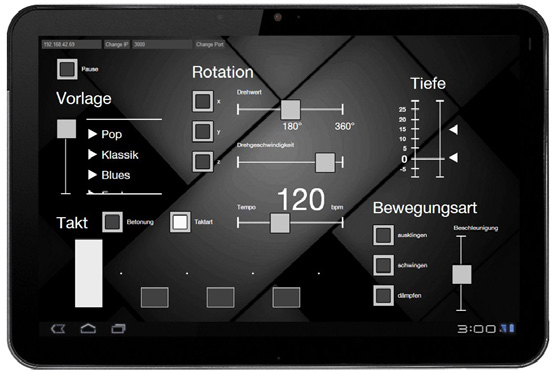 Raumfrequenzen (transl. 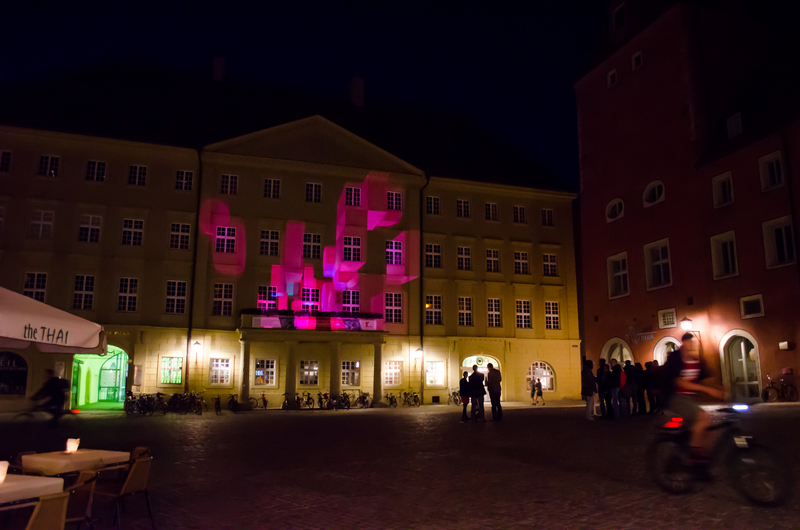 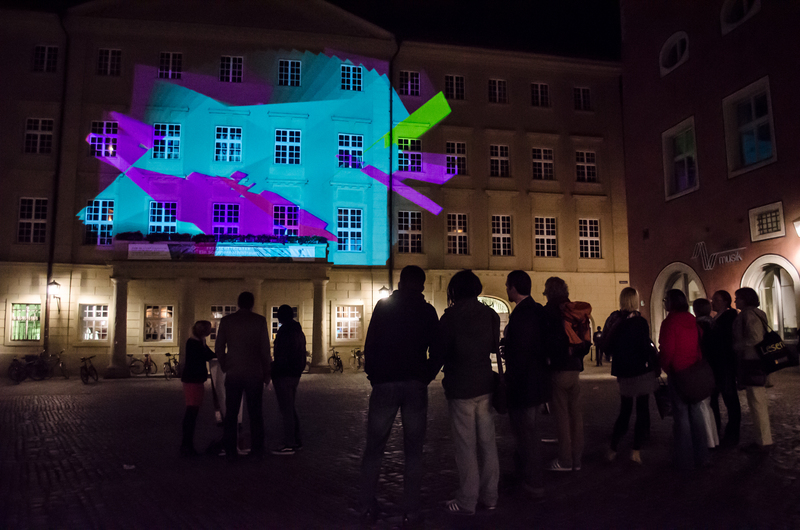 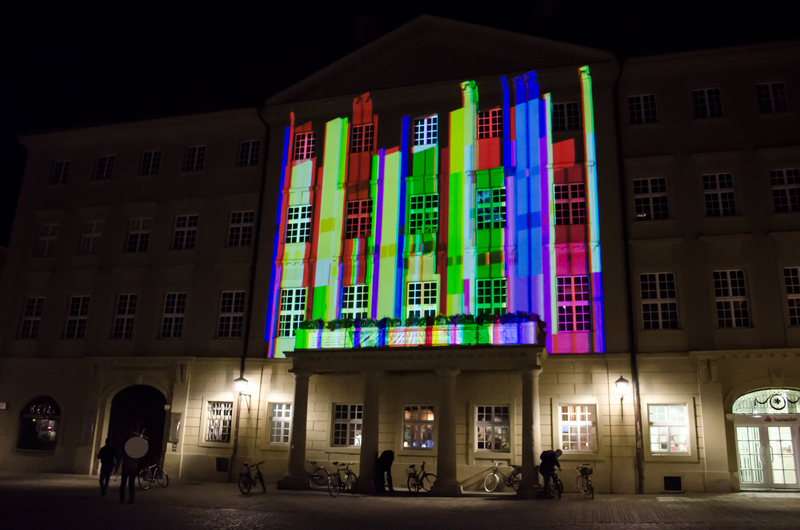 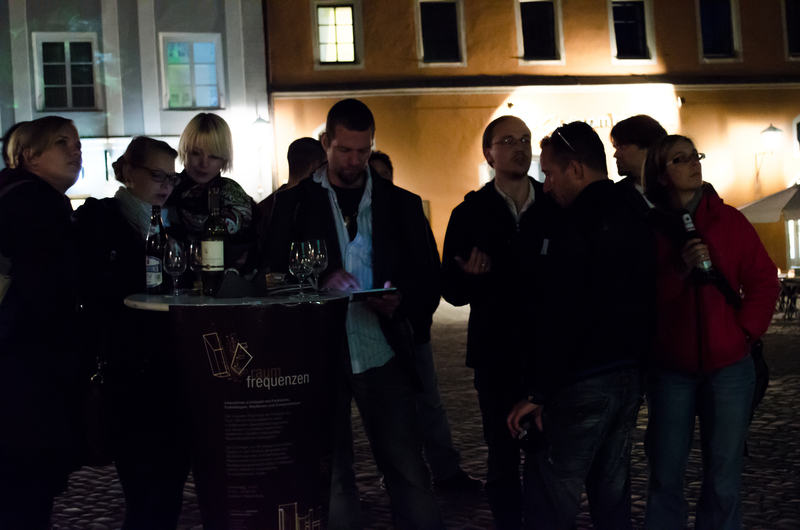 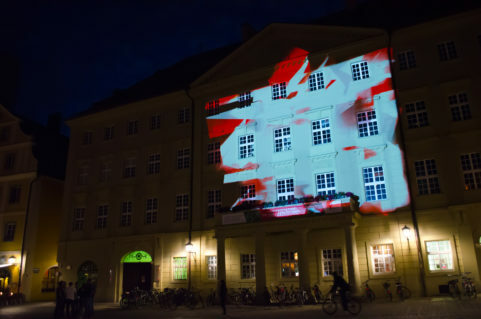 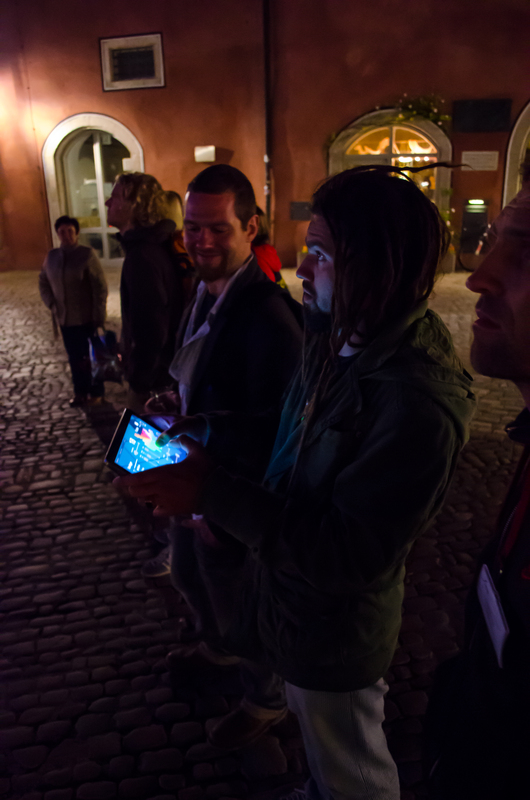 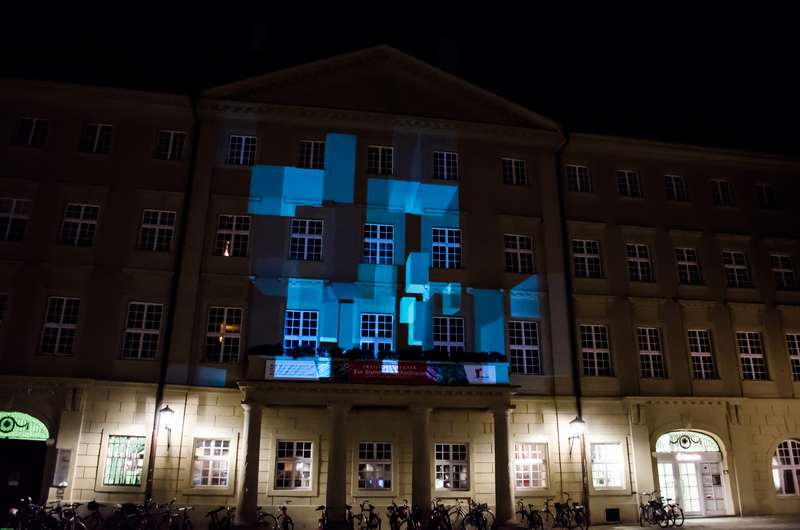 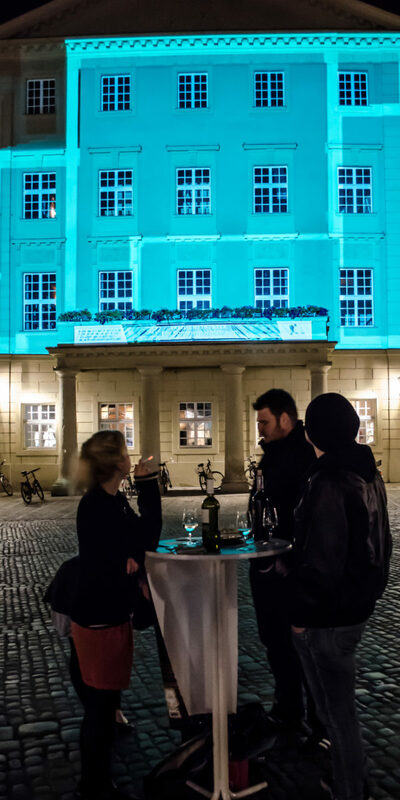 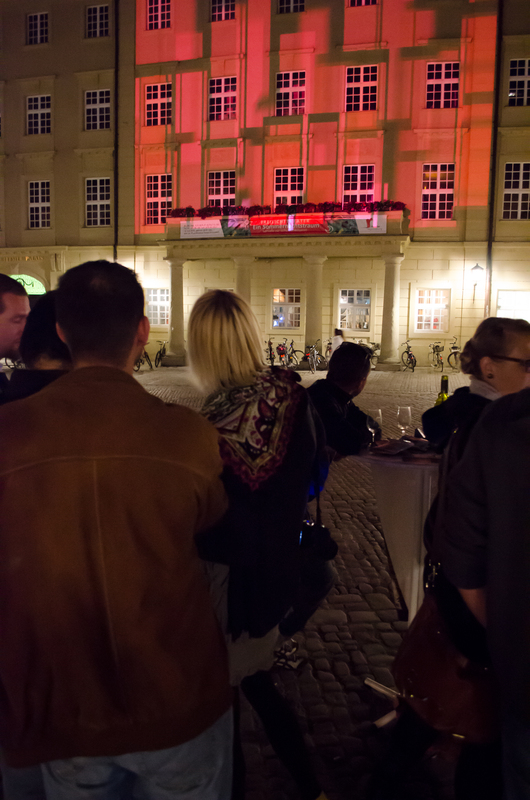 spacial frequencies) is an interactive projection installation created for the »Spaces« conference in Regensburg in 2012. 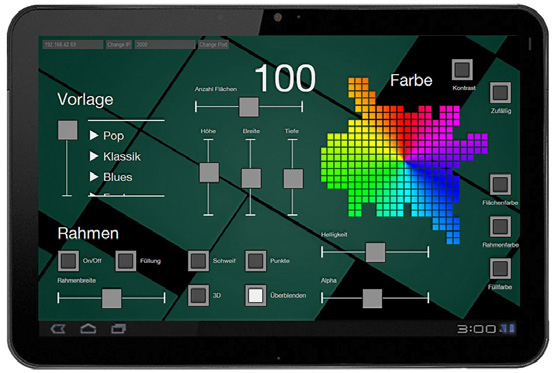 The project is based on [l]ichtbar, and was improved for two simultaneous users with their own respective controls based on musical parameters.